Buying a home is definitely in the future for me as its something that I’ve always wanted to achieve in life. I’m saving up as much as I can afford and I’m currently in the process of gathering lots of things together to do a car boot sale with as I’ve lived in my current family home for years and years and have accumulated A LOT of stuff that I don’t use or need anymore. When I do purchase my first property, I’ll be starting totally a fresh, buying all of my own furniture. In recent months, I’ve become a lot more minimalist with my style and I really appreciate effective storage, clean lines and no clutter now, mostly because its easier to keep clean. So basically that’s the inspiration and goal for when I decorate my first home. Getting to this point will be a bit of a process and involves changing habits of a lifetime but I really want to have a stylish, clutter free space. Alongside my saving, I have been making a note of all of the things that I’ll need to buy for each room, especially rooms like the kitchen, as this really helps to give me an idea of roughly how much money I’ll need to furnish my home. This is a tip that one of my best friends gave me and in fact, she bought the things on her list gradually before she bought her house. Since I’m saving up and am on a tight budget, I’m focusing on getting my deposit together first and then when I’m all moved in, I imagine I’ll have my list of everything I need complete to go out and buy the things that I like. Another thing that I’ve been doing is searching the internet and Pinterest for inspiration as to how I would like different areas of my home to look. I’ve been looking at the different styles that I like and then looking for products that I can buy that are within my price range and accessible to me and bookmarking those pages for each room in the home. The first room that I started with was the living room. The amount of friends that have told me that they were sitting on deck chairs for months waiting for their sofa to arrive is unreal. Living room furniture does tend to take time to arrive as it needs to be made but for a lot of my friends, their room would have been completed sooner should they have made up their mind on which sofa they wanted before they moved in! Instead, they got their keys and then spent weeks choosing which sofa they wanted! Since I’m wanting to buy a new build, my plan is to get the dimensions of the room, and start the ball rolling with ordering my sofa so that its ready to be delivered around the time that I move in. I’m in no rush to leave my current property so if there’s a little bit of time to wait then that isn’t a problem. I’ve been looking around at sofas online for ages now and have found some great ones on the Fishpools website. They seem to have a really varied range of styles in both leather and fabric coverings. While I love fabric sofas, especially crushed velvet styles, I think I will end up going for a leather sofa purely because I find that they’re more durable and look fabulous for far longer. 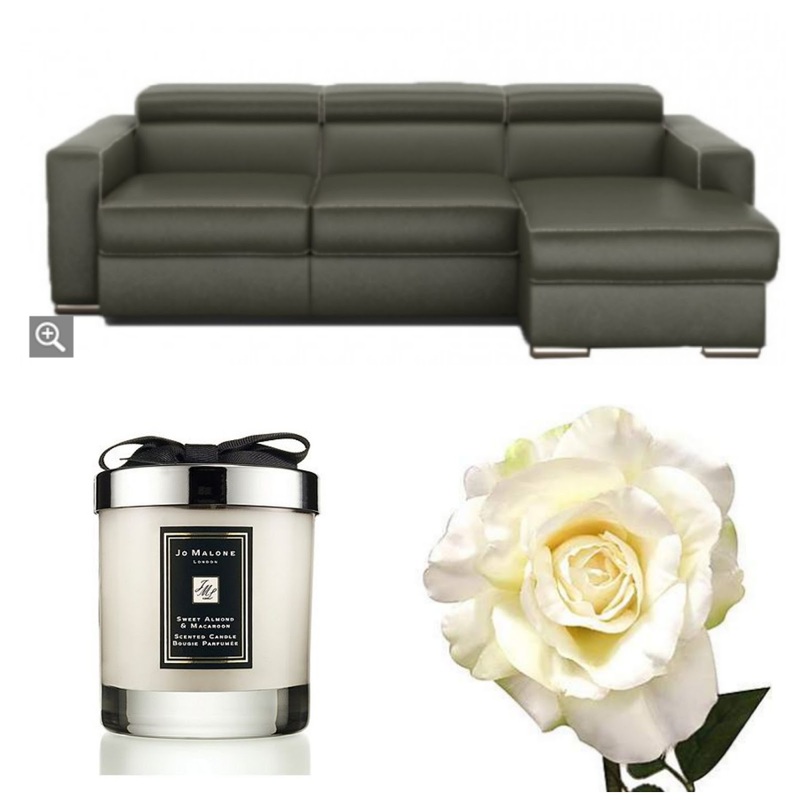 While I love the look of a white sofa, with me and my fake tan, nail polish, clumsy eating, I know it’ll not stay white for too long so I think I would be best off going for a light or dark grey. The Panamera style appeals to me the most as it has the option of a chaise seat which looks ideal for me as I love to sit with my feet up rather than off the end of the sofa! Alongside those silver accents, I’d love some lanterns too as I think that they look great on the hearth of a fireplace. My friend has bought some from Next Home and says they’re really great quality. Their Chrome Lanterns are fabulous so if they’re available when I get a home, I’ll definitely go for those! I’m a really big fan of high quality faux flowers in my home as they’re obviously a lot less hassle than real flowers; let’s face it, I’m concentrating on keeping myself alive let alone anything else! I have some faux flowers in my bedroom at the moment from Dunelm and they’ve lasted so well so that will be my first stop when it comes to buying artificial flowers. I’m big on home fragrance too and I think that great quality candles and reed diffusers look as great as they smell so they serve two purposes. My favourite brand has to be Jo Malone and I couldn’t be happier that there’s now a counter in House of Fraser in the Metrocentre. I already have one of their Sweet Almond and Macaroon Candles ready to go in my home but I’d like to get one of the Jo Malone Reed Diffusers too. Aside from that, there’s just a TV and some furniture to pick but I really feel as though I need to wait to see what kind of space I have first! All thats left to do is to save up and pay for it all now! I’d love to know if you have any tips for first time buyers and if you know of any places to look online for inspiration for different rooms in my future home? I’m all ears! It's been a long time since I ordered new furniture. I had forgotten about that long wait. Yikes. I too, need a refresh desperately. I hope you're able to get your house this year! I want so many things in that post, but I really want the corner sofa. It's a shame we have only just bought a new one. Aw I really hope you get to buy a house this year! 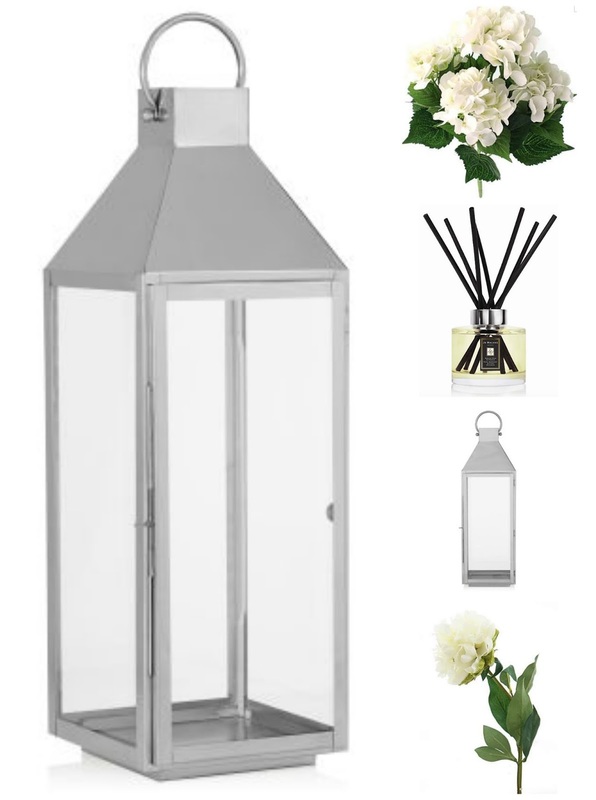 I am moving very soon and the Jo Malone looks like it would be the perfect addition to my new place. I would love to change some of my furniture but have to wait until our baby grows up so it doesn't get damaged. I LOVE Jo Malone candles they smell so delicious. So luxurious! Its exciting choosing new furniture and planning all the new decor.I hope you get your house soon. I love decorating and am quite an addict. It seems like I finish one room, go to the next and before you know it, I am back at the first room again. Living room is the next one to be done, I think! It was a lot of fun furnishing our house, though we had a lot of stuff already – it would be great (if expensive!) to start from scratch. Hope your house dream comes true this year! I love that sofa you've chosen there! Our sofas are awful (leather peeling, yuck!) and as soon as we can afford new ones, they're out!